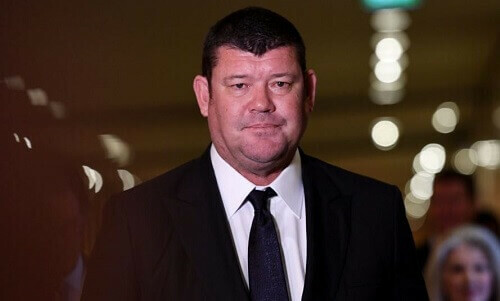 James Packer announced earlier this week that he was officially resigning as director of Crown Resorts and stepping down from the board. The reason for his resignation has been cited as Packer undergoing treatment for mental issues. Packer has been having a difficult time in recent years, and perhaps the stresses have caught up with him. Following the announcement, the CEO of Crown Resorts, John Alexander, refused to elaborate on why James Packer was resigning. He simply said that company appreciated his contributions and respected his decision. However, a spokesman for Packer’s personal investment firm released a statement saying that Packer was receiving treatment for mental health problems and will be stepping back from all of his current commitments. Currently, it is beloved that Packer is in the United States receiving treatment for his issues. The treatment is thought to be for anxiety and depression. Packer has had a troubled relationship with Crown Resorts board. He originally resigned from the board in 2015, only to return last year. Packer has seen numerous personal and professional struggles in recent years. The company was forced to reduce its international operations, following the arrest of some of its staff in China. This meant that Packer had to reduce his share in Melco-Crown. Packer had founded this company with Lawrence Ho with the intention of building integrated casino resorts in Macau and the Philippines. James Packer was also forced to walk away from the Alon Project in Las Vegas. Finally, he has had some more personal issues recently as well. The most notable being Packer’s break up with Mariah Carey. This propelled him into to the spotlight, and he found himself on the covers on numerous celebrity magazines. He has also admitted to becoming more and more reclusive, which has caused him to start losing friends.